MJ Guidetti grew up around the kitchen. 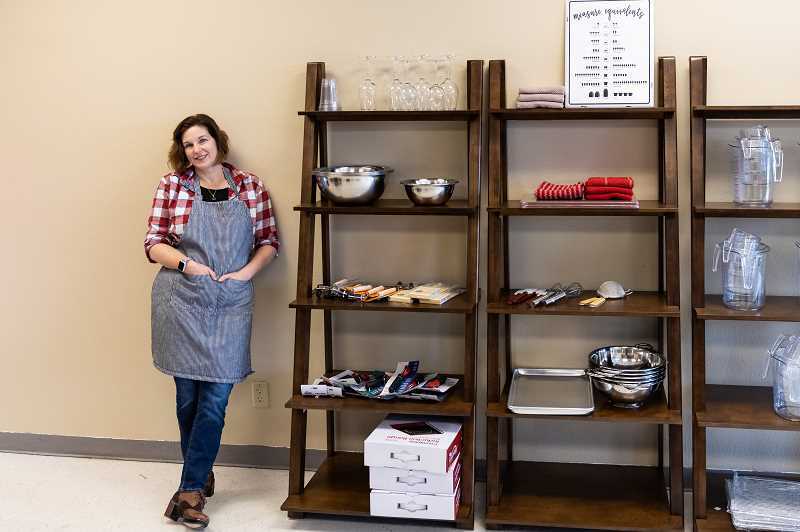 Coming from a large family, the Forest Grove resident has been cooking her whole life and is bringing her love of food to her new cooking workshop, Guidetti's Kitchen, which opened its doors Friday, Jan. 11 at 2311 Pacific Ave., in Forest Grove. "Most of my life, I've wanted to own my own business," she said. "I always had a vision of something other than my home where people could visit and eat. Over the last six months, I was actively looking for a place and nothing seem to fit perfectly. This place worked and everything collided at once, and I felt 'This is what it could be and where it could start.'" She plans to expand the number of classes over time. To sign up for her workshops or learn more, visit guidettiskitchen.com. Guidetti moved to Forest Grove a decade ago and has taught a cooking after-school program at Neil Armstrong Elementary School for students to learn how to be comfortable in the kitchen. While she wants to continue to teach there, Guidetti said she will offer a children's class at Guidetti's Kitchen, starting on Saturday mornings at 10 a.m.